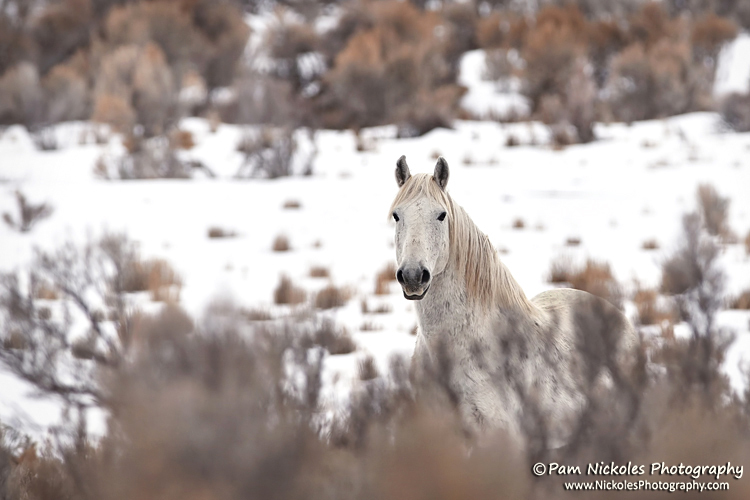 It was a cold, overcast day in the Piceance-East Douglas HMA a couple of weeks ago, when I finally saw my favorite stallion. It had been quite a while since I’d seen him last. Long before going into winter. This stallion loves to worry me and others that are taken with him. This is Handsome. The first horse I saw on my first trip to the HMA so many years ago. Surprisingly, he’s got another family too. He’s most likely between 18-20 years old now. A scrappy ‘ol guy, with a chronic limp from years of fighting and a “never give up” attitude. You can’t help but admire and love him. What a handsome and wise old guy! Hope is around for a long time.